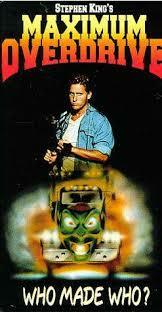 Maximum Overdrive(1986) Film Review. Directed By Stephen King.ProducedBy De Laurentiis Entertainment Group. 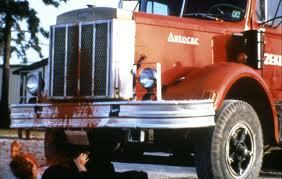 Another oldie,but goodie,this 1986 film from the master of horror himself,Mr Stephen King. Not only written by him,but also his first,and last time into the world of filmmaking,he took up directorial duties for this film. 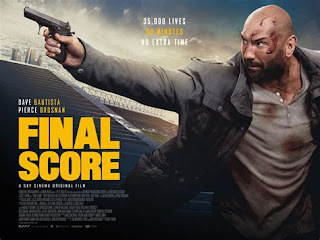 Which unfortunately was going to be his last,as the film at the time was absolutely lambasted by the critics,nominated for Raspberry Awards. Condemning Stephen King's debut,to the bargain bins. Well in all fairness time has been kinder to this film in the aftermath,with other films,cartoon shows,TV shows giving tribute to this great film. A simple story of a tail end of some mysteriously green comet passing through Earth's Atmosphere. 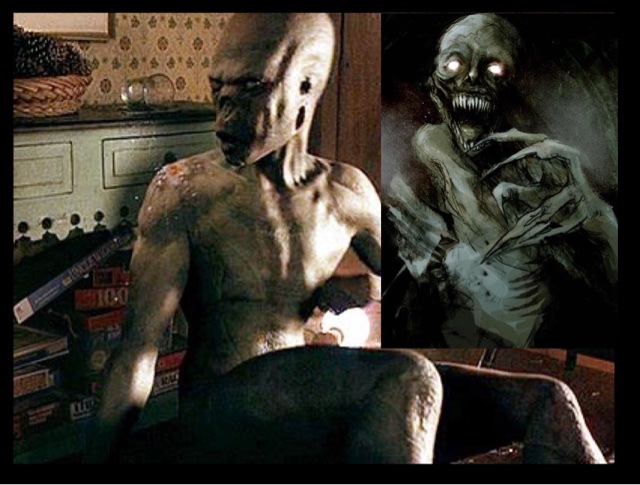 Which the radiation has a strange effect on all man made appliances, which turn on the Human race,killing, maiming,eating.The whole story is based on the theory Who Made Who,with a perfect soundtrack from rockers ACDC. In all fairness I loved this film the first time I saw it,yes even at a young age of 15, at the time. Starring a Young Emilio Estevez ,who was unstoppable in the mid to late 80's a member of the original Bratt Pack, and also an even younger Yeardley Smith who went on to be the most famous voice actor in History,doing the voices in the Simpson's.Yes the film has aged badly,but so has so many films from the 80's does it take away any of the enjoyment no it does not. A film at the time that was brave to show not only adults being killed horrifically,but also kids too,with the most famous scene of a kid being flattened by a steam roller,on a baseball pitch,with the blood apparent on the machine afterwards. The other iconic image is of the Green Goblin on the front of one Lorry,which has been used in many viral campaigns since. Not bad for a film that was so ridiculed at the time,that has become a cult favourite for most people today.Yes it is cheesy,daft but still an entertaining romp of a film,that borrows from about every horror film made at the time,does it really matter,no it does not.